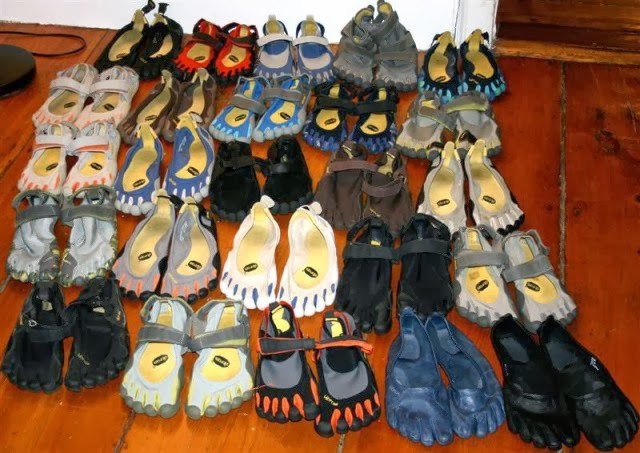 There are simply a good number of shoes may it be for running or otherwise. But, what can be more distressful is to find out that your best buy of shoes can be your nightmare as well. Different runners may recommend different brands for running. My personal list would include a Reebok, Nike, Sketchers, Adidas, Merrel, and New Balance. By far, my personal favorite would be New Balance and Merrel as they endured over six months to one year. I have my Merrel shoes for trail runs and New Balance for road runs. So, how do we really spot the fakes? While there are different brands to compare with, the fakes would normally show distinct features. Materials. Expensive shoes go through quality standards, so, check if the materials show inferiority. Labels. Compare your purchased shoes from the outlet and see if labels are practically the same. Sometimes, they are misspelled or produced from elsewhere. Before you complain of the difference, check the website first if they have production elsewhere. Reviews. Blessed is the internet for customer reviews as they become benchmark for our buying. Normally, they provide other information for some products and with this knowledge, you can compare whether the quality the customers speak about is true in your case. Source. Should you just buy from non - legitimate sellers, assess the whole package first. Music + Fashion, Are They for Real?